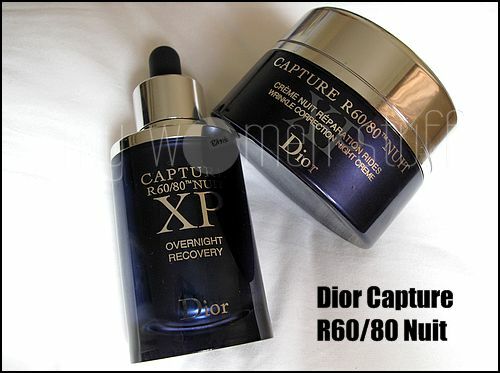 You might have noticed the new Dior Capture XP R60/80 Nuit products at the counters. Its hard to miss the luxurious looking navy blue Dior Capture XP Overnight Recovery Serum bottle paired with the Dior Capture XP Wrinkle Correction Night Cream. The Dior Overnight Recovery Serum is a thick white liquid dispensed via a pippette. I love all these geeky looking gadgets. Unlike the other anti-aging serums that have revolved around DNA lately, Dior instead harnesses the power of stem cells to renew skin, and this is done overnight when your body is at rest so cell regeneration is twice as intense. The texture of the serum is thick but applies light on the skin. I like the serum. It makes my skin feel velvety soft after application and somehow makes it look a little bit better. The price is of course a little prohibitive at RM360/50ml, but then most serums are rather pricey anyway and you don’t have to use much, just a few drops for your whole face and just only at night. 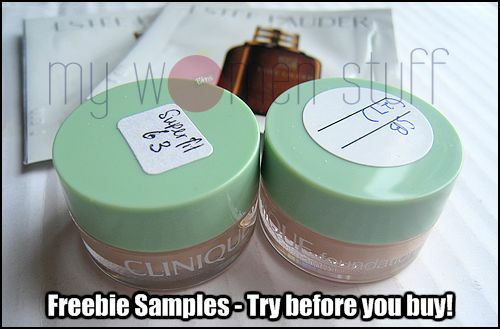 Samples are a great way to try a product before you decide to buy. Whilst its normal to receive samples of skin care products, its harder to get samples of makeup. So, when Clinique had their 7 day foundation sample promotion (on now until September 20, 2009) I had to pick up a couple. I’m new to Clinique’s foundations so it was a good way to try their liquid foundations to see how I like it. I got samples in the Clinique Superbalanced foundation and Superfit oil free foundation. I’d been more interested in the Superfit foundation because its new and because many have raved about it but the first counter I went to did not want to oblige me. I’m not sure why. So, if you’re in MidValley Megamall and want to pick up your foundation samples do note that I had a better experience at the Clinique counter in Jusco than in Metrojaya. The former knew what to do and approached me well and politely, telling me about the promotion and helping test the foundation with a foundation brush. The sample given was generous and will easily last me more than 7 days. The latter tested me with a cotton bud, gave me enough to last 3 days, tried to make me buy it outright and did not tell me the samples were free without obligation until I asked. I’ll review the sample foundations later. I came across this new skincare range from Kiehl’s on WWD and I’m intrigued. 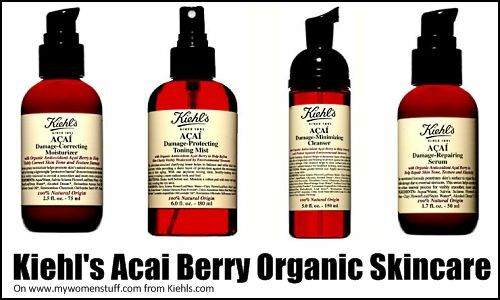 Kiehl’s has come up with a new Acai Berry skincare range that is certified Organic. What really caught my eye is the use of the Acai Berry. You might have seen a lot of spam online about the acai berry and its antioxidant benefits. Spam aside, the Acai Berry is a fruit from the Acai palm tree found in the Amazon rain forests. Its supposedly very high in antioxidants, amino acids and essential fatty acids and is popular in Brazil – I must ask my brother in law who’s just got back from there – should have asked him to bring me one! The spam starts when you look for the Acai Berry Diet because there are products or websites dedicated to telling you about or selling you products purportedly containing Acai Berry extracts to help you lose weight or touting it as a miraculous cure-all for anything from fever and hair loss to diabetes. 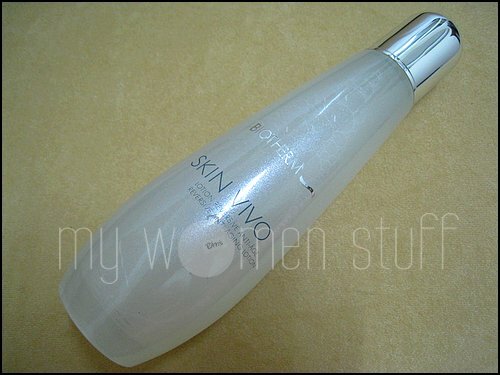 Although conventionally used as a toner, this is not quite a toner but a lotion. The texture is thin and watery like a toner and there is a pleasent smell of baby powder. I like the frosted glass bottle it comes in – it looks like a bottle of premier water or wine! I wipe it on my face after cleansing and it leaves my skin feeling soft. However, if I let it dry, my skin then feels a little dry which leads me to believe its the alcohol at work. I feel the alcohol content in this toner is quite high so although it leaves my skin feeling soft, I can smell the sharp alcohol smell under the powdery baby scent and that does not endear it to me much. The Fundamental Cream however is lovely!